Dr. Abrahams sees patients of ALL AGES. Dr. Rals Abrahams is board certified in Chiropractic Medicine and Acupuncture. 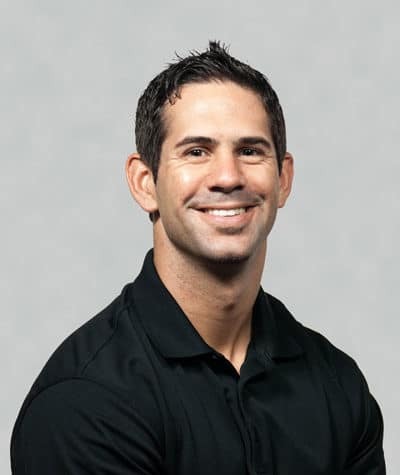 He joined Florida Wellness Medical group in 2014 and has worked in all of our locations. Dr. Abrahams is originally from Tazewell, Virginia, and played football for Emory & Henry College while studying Biology and Chemistry. He received his Doctor of Chiropractic degree from Palmer College of Chiropractic Florida in 2009. After moving back home for a year, Dr. Abrahams decided it was time to trade in the Virginia mountain snow for the Florida sunshine and moved to Tampa for good. And, it meant living near his brother who’s also a Doctor of Chiropractic in the Tampa area. Dr. Abrahams was first introduced to chiropractic care in high school when he was treated for injuries while playing sports. The hands-on approach, alternative therapy options and his love of science and healthcare made it an obvious career path while he was in college. Today, Dr. Abrahams credits the chiropractic profession with opening doors to other treatment options that have allowed him and his patients to live a healthy and higher quality of life. Outside of work, Dr. Abrahams enjoys his free time with his wife and two young daughters. He is dedicated to a healthy lifestyle including exercise, proper nutrition, and being a respectful father.